* Originally appeared in our May 2016 issue. [W]hen a light rain falls on the Allagash, which is often this time of year, the river sounds like it’s sizzling. 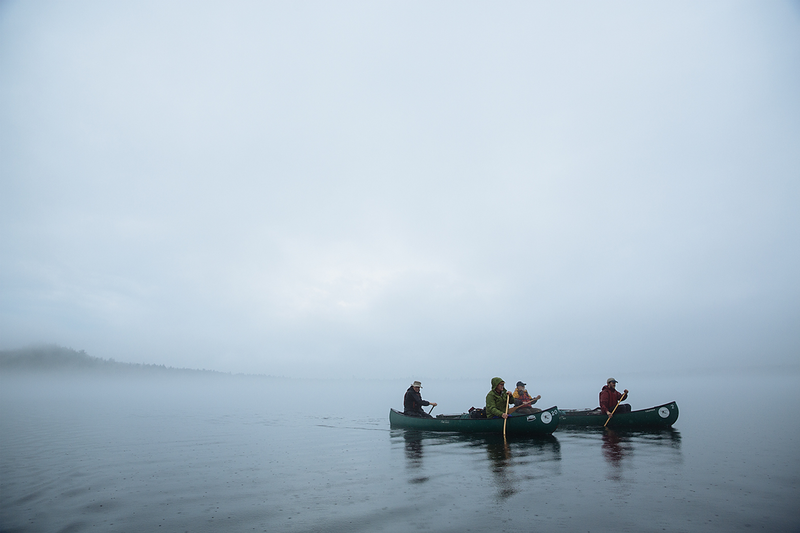 The soft white noise complements the soft white fog that hovers above the water’s surface on cool spring days — so thick, at times, that a paddler can make out the shore only hazily. 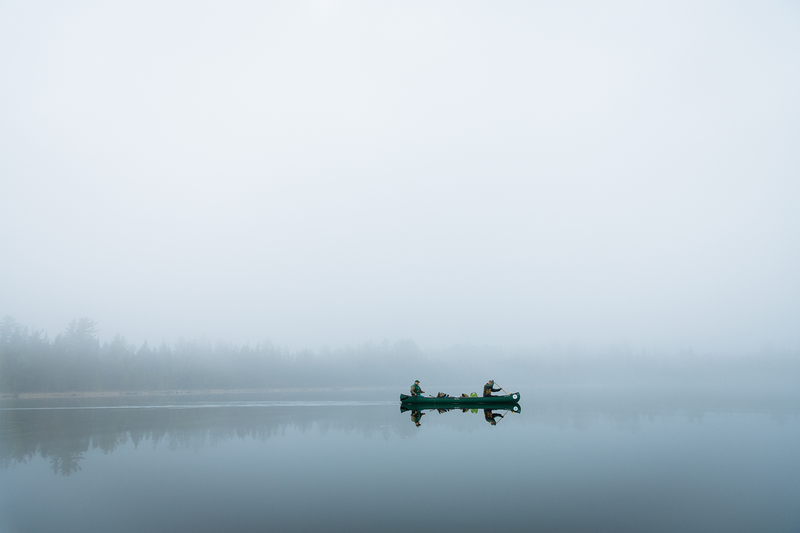 The fog adds to an innate sense of mystery on the Allagash River, a function of the intense quiet and the waterway’s varied and meandering character. 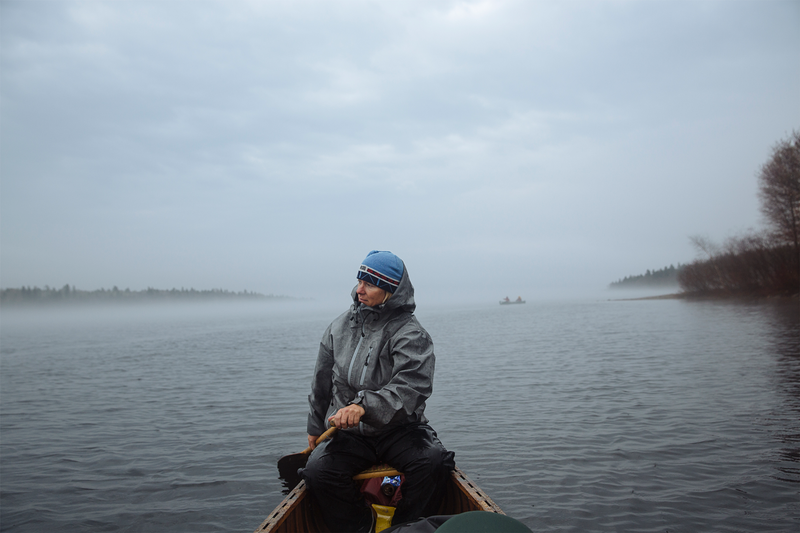 As we paddle across Eagle Lake — one of the wide lakes separated by stretches of mostly flatwater river that make up the 92-mile Allagash Wilderness Waterway (AWW) — I quiz Chip on what he understands this word to mean: wilderness. I’ve spent enough time bombing around in what passes for it to know that the term is broad and amorphous. 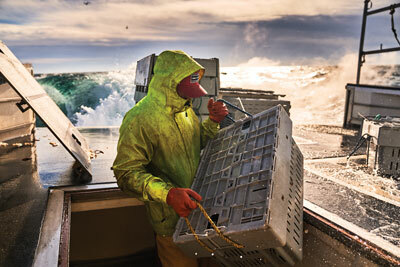 But in some ways, Maine’s Allagash is like no other place I’ve heard it applied. Designated by a statewide referendum in 1966, the AWW consists, at its heart, of the river itself and the lakes it broadens into, plus a buffer of roughly 500 feet on either side, owned by the state and managed for “maximum wilderness character,” meaning no logging and no new construction of roads or buildings. For another mile-and-a-quarter on either side of this “restricted zone,” private landowners abide some lighter state regulation of development and timber operations. Beyond that, the Allagash region is a mixed-use forest, with all the logging roads, machinery, sporting camps, gates, and clear-cuts typical of the Maine North Woods. Even on the most peaceful stretches of river, you can still often hear the rumbling engines of logging trucks. Referring to the Allagash corridor as “wilderness,” then, is a bit like running a ribbon-thin squiggle of foie gras mousse over a plate of chili-cheese fries, then pointing at the mousse and calling it haute cuisine. And yet, the AWW is unquestionably remote. It is serene and wildlife rich and diverse in subtle ways. And it is — even more now than a few decades back — a region sparsely visited by human beings. 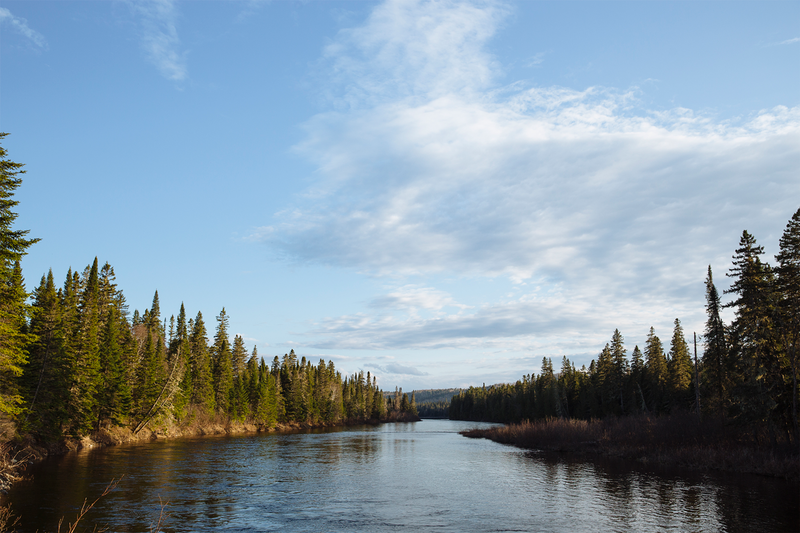 Since hitting a peak in the mid-1980s, recreational use on the Allagash has fallen almost by half, and as the AWW celebrates its 50th anniversary this year, even the people who most love the waterway can’t say for certain where all the river runners have gone. We put in on the Allagash one drizzly Saturday last May: me and two Down East photographers/videographers; Chip and his wife and guiding partner, Lani Cochrane; and five jocular, middle-aged members and friends of New Jersey’s Mohawk Canoe Club. It was to be a six-day trip — one of the shorter excursions that the Cochranes run. 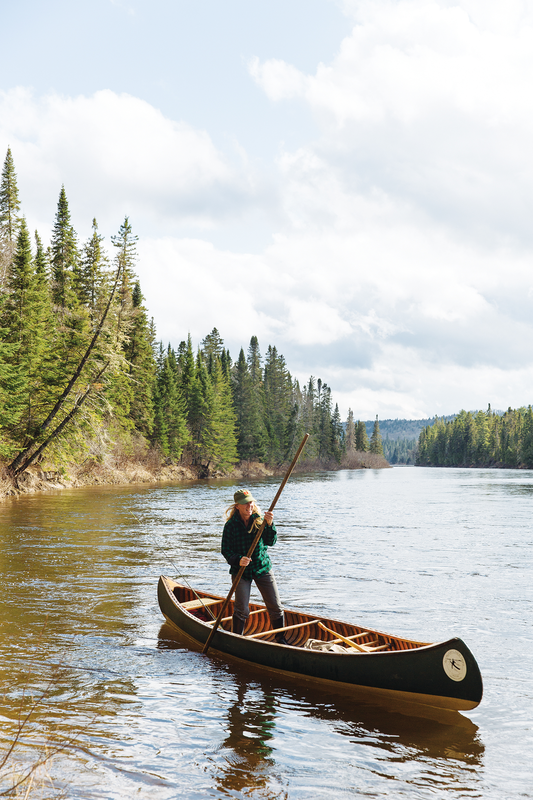 Beginning at the river’s natural headwaters at Telos or Allagash lakes, it’s easily a 10-day paddle to the town of Allagash, more than 90 miles downstream, where the Allagash River meets the St. John River near the Canadian border. After a jostling van ride from Greenville, where the Cochranes home base in the summer, we’d started about a quarter of the way up the AWW, at a reedy lakelet called Indian Pond, following a snaking feeder stream into Eagle Lake, the AWW’s second largest at 9,500 acres. 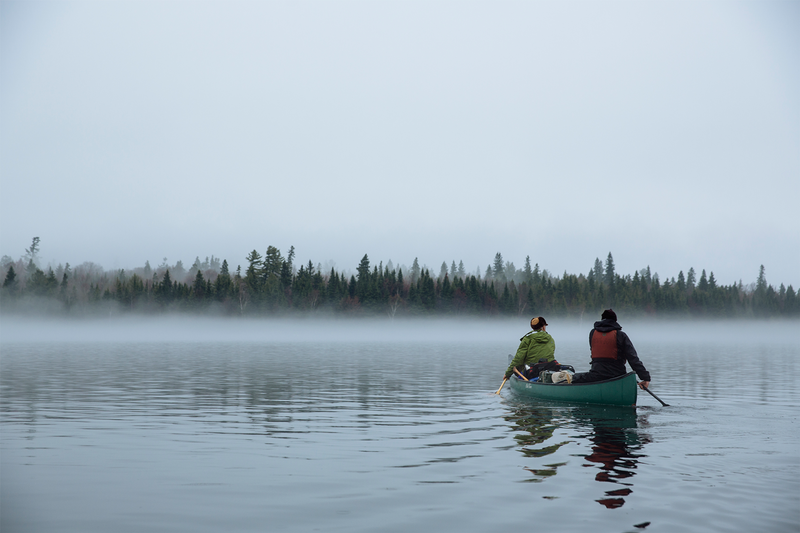 The day was overcast, but none too windy — since half of an Allagash trip is spent paddling big lakes, wind can be a canoeist’s constant foe. 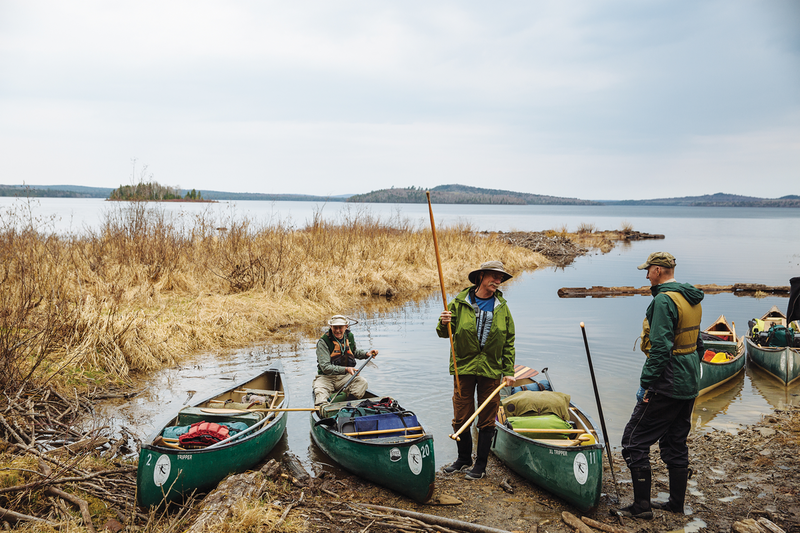 Left to right: Dennis Skillman and Jordan Guenther, of New Jersey, and Brian Bohr, of Pennsylvania, come ashore on Eagle Lake in the Allagash Wilderness Waterway. Our trip begins languidly. 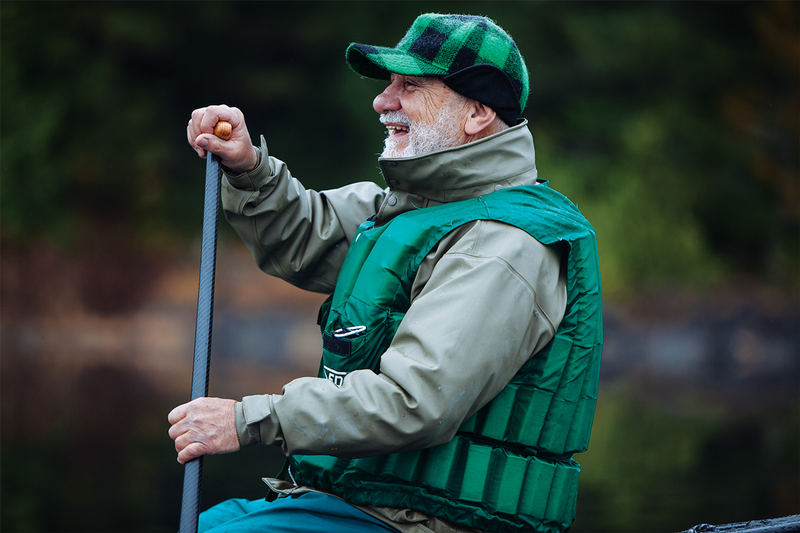 One of the canoe clubbers, a retired engineer and amateur barbershop singer with the Mother Goose name of Tony Baroni, sends us off with a cheerful rendition of an a cappella paddling diddy. The lake is calm enough to hear him singing a few boats back — and to interrogate Chip about wilderness as we paddle in separate canoes. Of course, the face of nature was already significantly altered, even in 1857. A couple of miles past the island, Chip and Lani divert us towards the lake’s western shore, where we clamber out of our boats to see a pair of huge steam engines sitting in a clearing, surrounded by woods, like something out of a children’s book. The engines, Chip explains, were assembled on-site in 1925 by logging interests that had swarmed the Allagash since the early 19th century. 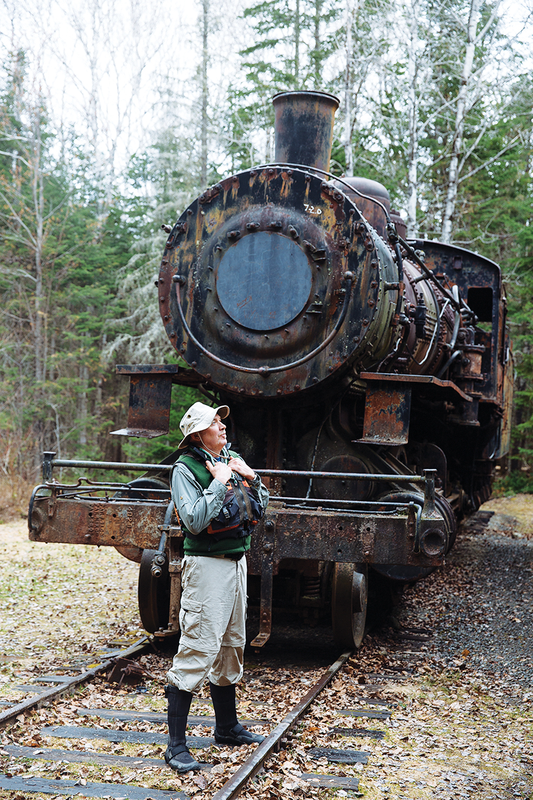 Until their short stretch of rail was abandoned in 1930, the engines hauled hundreds of thousands of cords of wood from Eagle Lake to the next lake south, Chamberlain Lake, which drained into the Penobscot River basin to reach mills in Millinocket and Bangor. 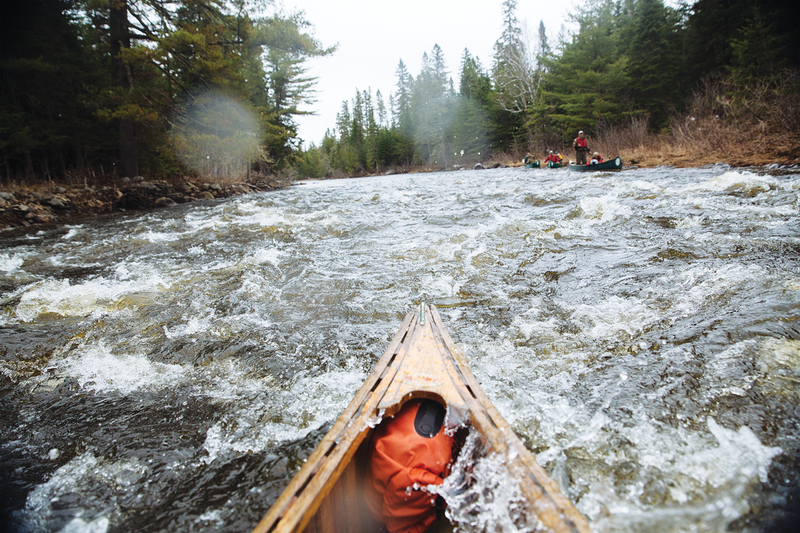 It’s not all flatwater: whitewater stretches like the 9-mile, Class II Chase Rapids keep the Allagash interesting, even for experienced canoe paddlers. The clearing where the engines sit today is like an open-air museum, but it’s also like a graveyard. As we explore, we pick our way through a scatter of rusted steel bars, carts, sprockets, and wheels that litter the ground. If you didn’t know better, you’d think some gruesome train collision had occurred here the day before yesterday. Back in the ’90s, Chip says, one of the trains was listing, and a group of volunteers had to jack it up and rebuild the remnant of rail beneath it, a logistically complicated project that took three years. “It would have been sad if it had toppled over,” Lani notes, admiring one of the engine’s smokeboxes. 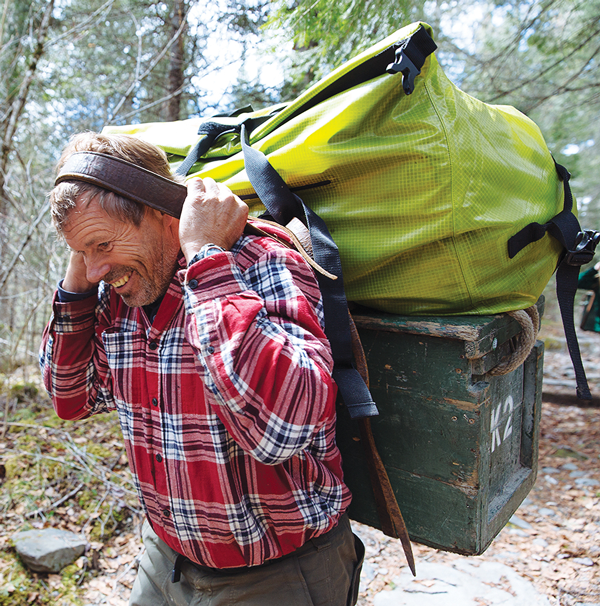 Chip Cochrane is a third-generation Allagash guide. 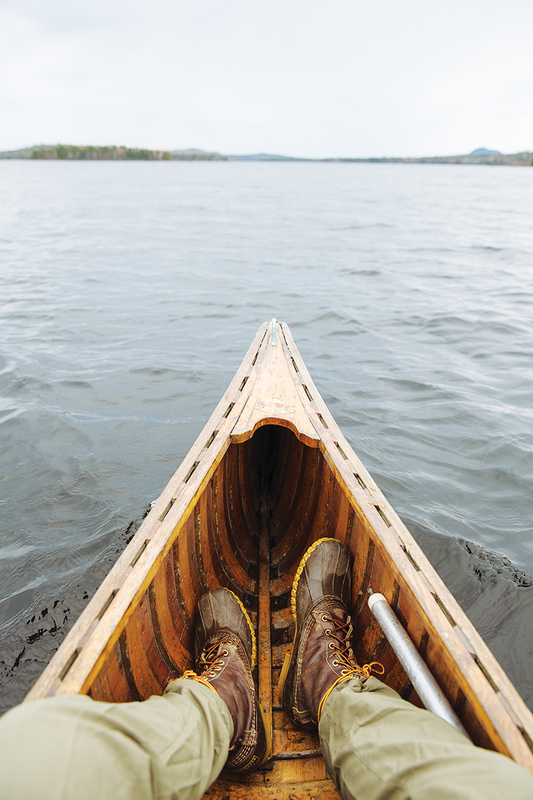 His dad, Warren, and grandfather, Herb, ran Allagash Canoe Trips when Chip was growing up. [C]hip, whose given name is Warren Jr., is a third-generation Allagash guide. His grandfather, Herb, first came to the river in 1947 from Connecticut, where he was a teacher and athletic director at a prep school. 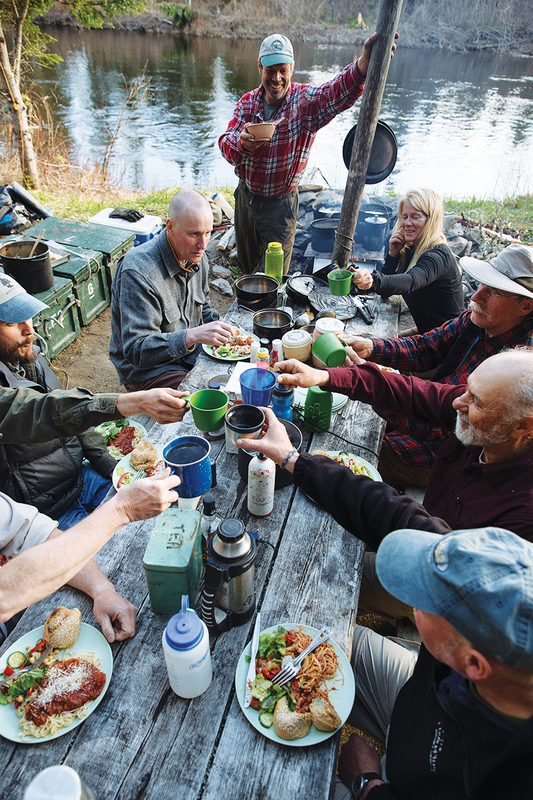 More than a decade before the AWW was established, Herb guided groups of young campers on multi-week Allagash trips that started at Moosehead Lake and paddled and portaged their way north. When young Chip started tagging along in the early ’70s, his granddad put him to work fetching water, making batter for bread, and gathering firewood. Chip’s dad, Warren, ran Allagash Canoe Trips throughout most of Chip’s young adulthood. He’s retired these days, diagnosed with Parkinson’s some 15 years ago, and is a near-legend on the waterway, a veteran of a hundred-odd trips who’s known as much for his prickly wit as his riverine expertise. The Cochranes might have come out of central casting: Chip is strong-jawed, straight-teethed, and built like an athlete, with salt-and-pepper stubble and crow’s feet that spread out for miles, like a series of tributaries. He looks a little like Brett Favre, with more flannel and a wider range of facial expressions. Lani is lithe and toned and plays upbeat foil to her slightly stoic husband. She calls him “Chipper” and slaps him on the back a lot. During the week we’re on the river, the two of them run camp with seemingly effortless precision, hauling five nights of food and gear in a set of wannigans — canoe-friendly wooden crates — that once belonged to Chip’s granddad. 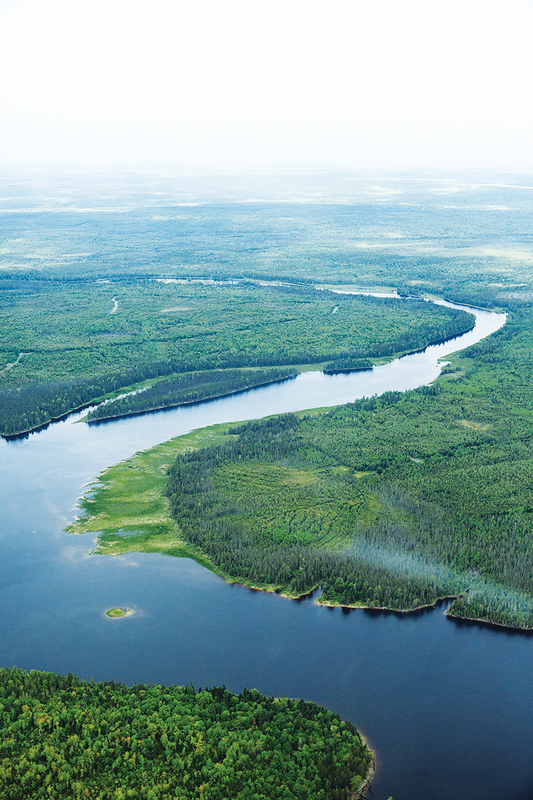 The Natural Resources Council of Maine formed in 1959 when a consortium of individuals and organizations came together to advocate for the Allagash’s permanent protection. 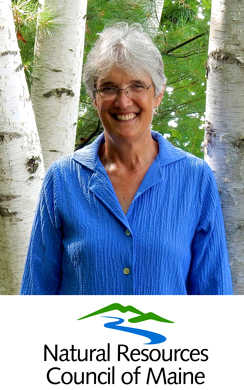 Today, the nonprofit NRCM is a robust voice for the conservation and restoration of Maine’s environment. We asked executive director Lisa Pohlmann about the group’s relationship with the waterway, past and present. So who were the parties in 1959 worried enough about logging and hydropower threats to the Allagash to go to bat for it? They were people who loved the outdoors, hunting and fishing and observing nature. They belonged to sporting and conservation groups. Because they were so in tune with the environment, they understood the value of it and the need to protect it. They got together and said, “We need to figure out what to do here.” They saw the need to join forces. This was before the Wilderness Act of 1964. Was pushing for protection like this still a pretty radical idea? It was a time when citizen advocacy was sort of new. But we saw then and still see now such an environmental ethic deep in the psyche of the Maine people. You really can call upon that and galvanize people to protect this place, and it doesn’t matter what party you’re from, rural or urban, and so on. How did the organization’s role evolve once the AWW was designated? Many of our national and state laws to protect the environment started to be created in the 1970s. But if we don’t have a watchdog at the gate, those laws could all be rolled back. The most effective way to prevent this was to become more of a presence at the statehouse, where NRCM can make sure protections are implemented properly and progress isn’t rolled back. Today, we share our expertise with legislators and state agencies and keep our members informed about issues affecting Maine’s environment, so they can take action. In your mind, what is it about the Allagash that earns this “wilderness” designation? For me, it’s about being able to be somewhere where I’m surrounded by nature. It’s the sense that nature is carrying on. So if I get up early, I can see a moose and her calf downriver, sloshing around in the marsh. I can hear the swoosh of water from her head as she dips in for grasses. It’s peaceful. To learn more and to help NRCM protect the Allagash and other special Maine places for generations to come, visit nrcm.org. Sign up for the NRCM newsletter. The trip’s rugged nature, LaRoche suspects, helps account for the Allagash’s dwindling numbers, even as visits to Maine state parks and the country’s national parks and other public lands have steadily climbed. In each of the last four years, AWW managers have recorded around 19,000 camping nights — the total number of nights that any individual person spent sleeping alongside the Allagash. Back in the mid-1980s, that number was somewhere north of 33,000, and the declining trend in between has been slow and steady. But shrinking use on the Allagash can’t be traced only to comfort-craving boomers, since the AWW has also seen fewer large parties of campers and other youth organizations that tend to float the river in midsummer. 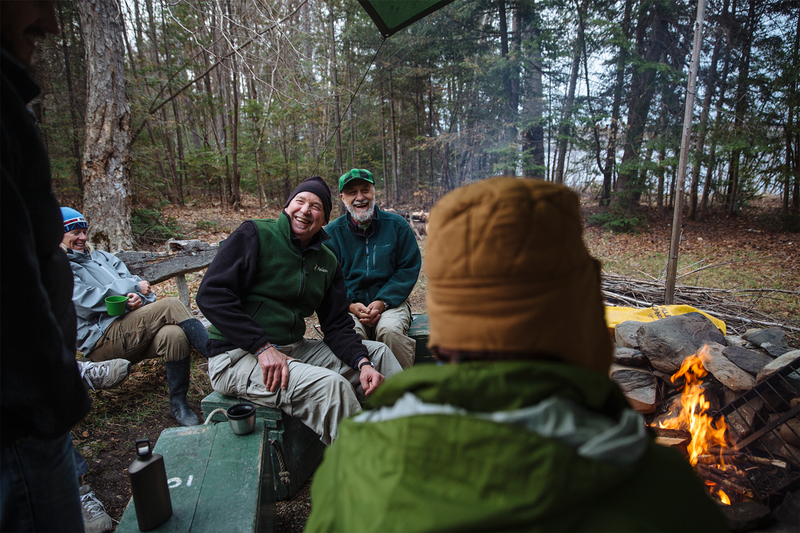 Some summer camps, church groups, and scouting troops have been coming for generations, LaRoche says, and are as passionate about the Allagash as ever, but the AWW also issues far fewer oversize group permits than a couple of decades back. “The 21st-century generation, they don’t have the interest,” says O’Leary, who grew up in northern Aroostook County. “As a kid, I wanted to be outdoors, but a lot of kids would just rather play with a laptop.” Of course, that phenomenon isn’t limited to youth, say both O’Leary and LaRoche. 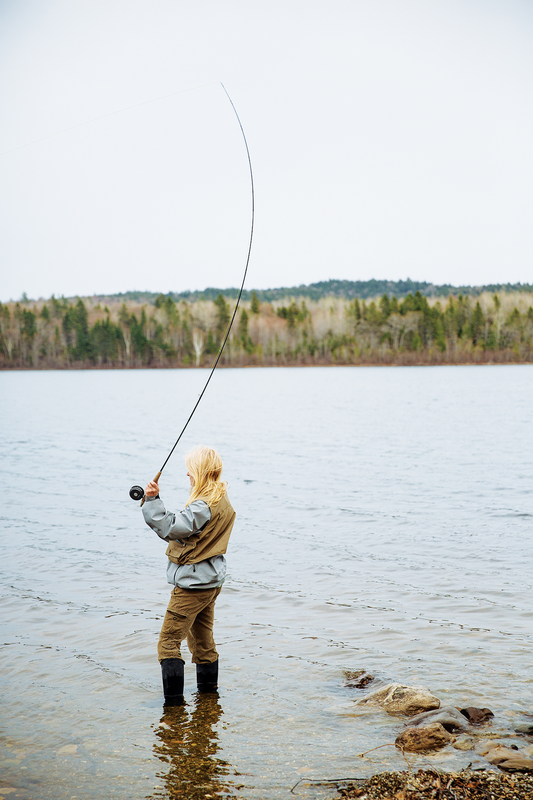 A weekend trip to a state park is one thing, but seven days on the Allagash is a long time for a grown-up to go without email — never mind the hassle of getting time off work in the era of the diminishing paid vacation. 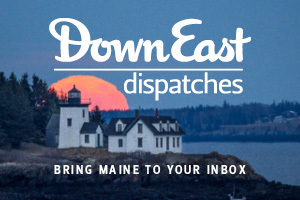 In a memo he wrote as a Maine Policy Scholar at the University of Maine–Fort Kent in 2014, O’Leary even suggested courting millennials and professionals with pay-per-use cellular and WiFi hot spots at AWW ranger stations (he actually doesn’t much like the idea, and LaRoche says it’s an unlikely one). 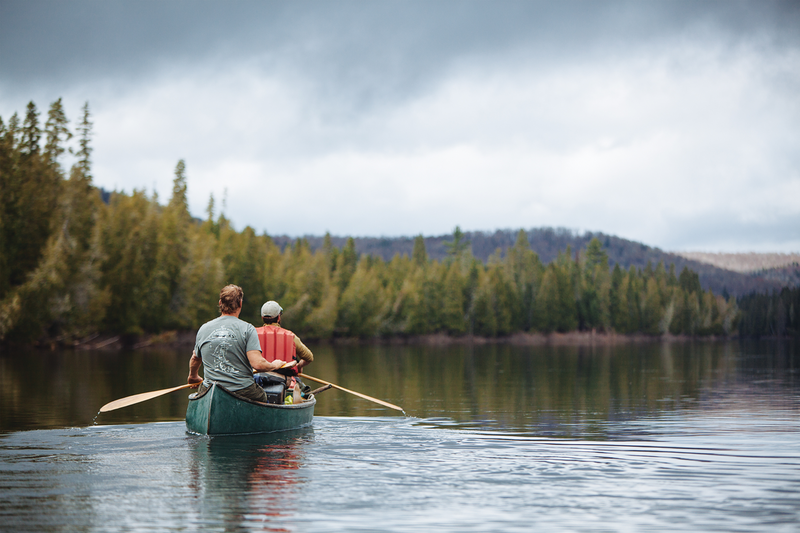 Nearly everyone agrees that at its ’80s peak, the Allagash was overcrowded, but LaRoche and others suggest that the AWW could absorb a 20 percent boost in paddlers without negatively impacting staff or natural resources. Then again, isn’t a minimal human presence kind of what you want in a wilderness? If that is indeed what the Allagash is, isn’t having fewer visitors a good thing? A decline in the number of campers also tends to provoke calls for increased motorized and day-use access in the AWW — which means less silence and more roads, bridges, parking lots, boat launches, and other infrastructure catering to weekenders. Some of the bitterest battles in the AWW’s 50-year history have been over such proposals. 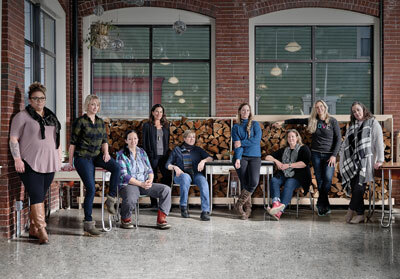 One fierce opponent is the Natural Resources Council of Maine, the influential environmental lobbying group, which actually owes its existence to the Allagash. NRCM formed in the late ’50s as a campaign to permanently protect the river from logging pressures and hydropower proposals that would have dammed and flooded it. In the decades since, the group has repeatedly fought increased AWW access in both the legislature and the courts — counting Chip’s dad, Warren Cochrane, among its staunchest allies. I ask Chip about the access struggles while he and I are sharing a canoe, a few days into our Allagash trip. We’ve just finished paddling a somewhat swift stretch of river, between Long Lake and Round Pond, with a few fun rips that Chip stands up to scout. It’s been rainy and overcast all week, and we’ve yet to encounter a single other paddling party — just a few day-use fishermen on the lakes that do allow motorized access. An angler himself, Chip’s glad to see them on the water, but he worries that easy access harms our relationship to a wilderness river. “Day use just doesn’t give you time to cultivate that respect,” he says. “When you’re on that river in the woods for seven days, that’s when you start to think, hey, I don’t want to leave my bottle here.” In recent years, Chip and Lani say, they’ve had more calls than ever from people asking for a two- or three-day trip. Coming into Round Pound, we spot a widely crowned elm tree on the left bank, perfectly symmetrical, its branches draping elegantly over the river. Chip’s grandfather’s ashes were scattered beneath it, he says off-handedly. Lani suggests, half-jokingly, that they ought to build a fence to protect the elm from the ice floes that pile up on the banks in early spring. Chip shrugs. As we paddle by, a mature bald eagle surprises us, launching from the elm’s highest branches and preceding us down the river. [O]n our fifth day on the Allagash, we wake up to sunshine, and it’s like Dorothy stepping into Oz. Everything looks sharper and more vibrant. The water that was gray is now a streaky, shimmering olive green. The plain brown of the puckerbrush banks becomes a textured universe of beige, ochre, maroon, gold, and tan. Clouds of bank swallows swoop and dive as we break camp, a routine choreographed to the constant music of river hitting rock. 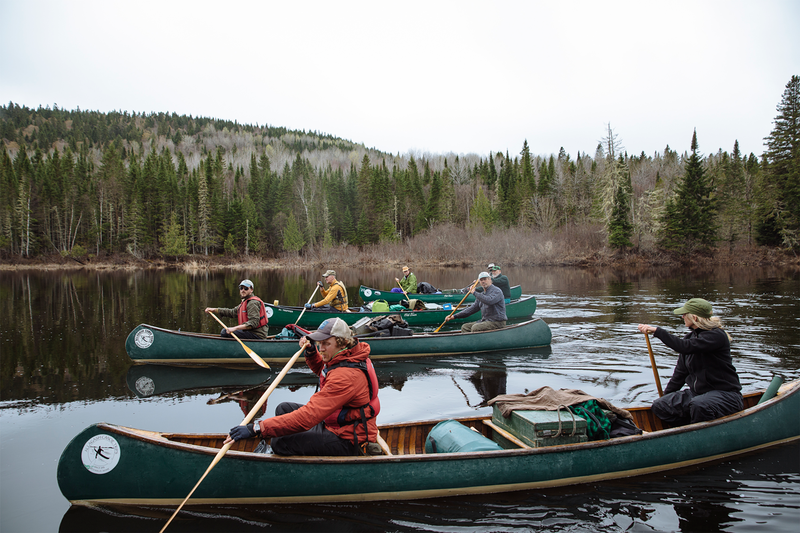 Out on the water, I ask the canoe clubbers for their thoughts on wilderness, and everyone agrees it has something to do with the presence of people and the level of risk. How screwed would you be if the chips were down? How far away is help from other human beings? We pull over for lunch at a spot called Cunliffe Depot, an abandoned 19th-century logging camp where, again, the ground is strewn with rusting old tools and machine parts. Behind a flimsy fence, grass grows up through the moss-covered remains of a curious machine called a Lombard log hauler — like a combination sled, steam engine, and tiny tank, with tracked treads to drag logs over rough winter terrain. It occurs to me that sites like this are cool because of their lack of wilderness character. Or maybe it’s because of the reclamation, the way wilderness is slowly winning out against all the ingenuity we humans threw at it. The next day, as we’re paddling the home stretch into the town of Allagash, I ask Chip how the river has changed since he was a kid — and what changes he would tolerate in order to attract more paddlers. 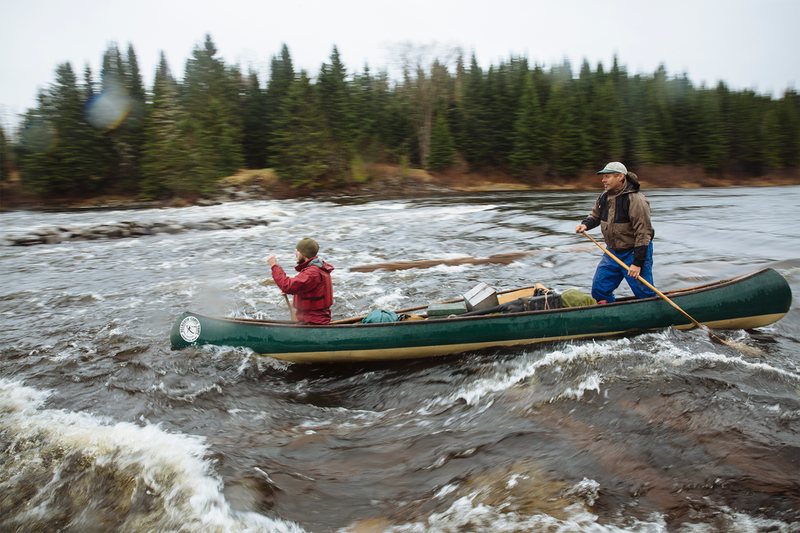 We’re a few miles downriver from the spectacular, 40-foot Allagash Falls — a mandatory portage — and the river is meandering and quiet. Everyone is in a dopey, satisfied, reflective mood. We watch the osprey dive at a target downriver. It comes up empty-taloned. Just then, Tony Baroni paddles up alongside us. “I’ve been thinking more about it,” he announces, “and I’ve decided this can’t be considered wilderness.” The look on his face is as serious as a man wearing a fuzzy plaid hunting cap can pull off. I’m surprised. I ask why not.  Really enjoyed your article we were talking about a AWW canoe trip last night after reading this I believe I’m going to get serious about it. I’m not sure if I agree with some of your parties views on access I grew up in northern aroostook and always loved being in the woods hunting, fishing,camping didn’t matter but you don’t see that in kids today and like your guide said time off from work is hard to come by chances are the wife and kids don’t wanna spend that precious week or two in the wood’s but little wheeling and dealing a week at Old Orchard in exchange for a couple long weekends on the AWW what ever it takes to get kids outside and taken notice. I honestly don’t know that much about the permits or if there are access/landings that make sense for shorter trips maybe two or three nights hopefully enough time feel like a wilderness adventure. Anyway just a thought I’m sure has been discussed and debated many times and again good article sorry if I got little carried away with my comment. Great article. Have to comment on that one picture of the guys running Long lake Dam. While the picture shows you can run it, this Allagash veteran of multiple trips on AWW over 40 years would never try that, and It should not be promoted.